The Greatest Showman (film, 2017). A 2017 American musical film with "PG" rating by 20th Century Fox. Directed by Michael Gracey. Official Trailer. The Greatest Showman is a 2017 American musical film directed by Michael Gracey. 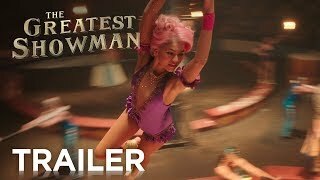 The Greatest Showman | Official Trailer 2 | 20th Century FOX. In the mid 19th century, P. T. Barnum and his troupe perform a show at the circus ("The Greatest Show"). 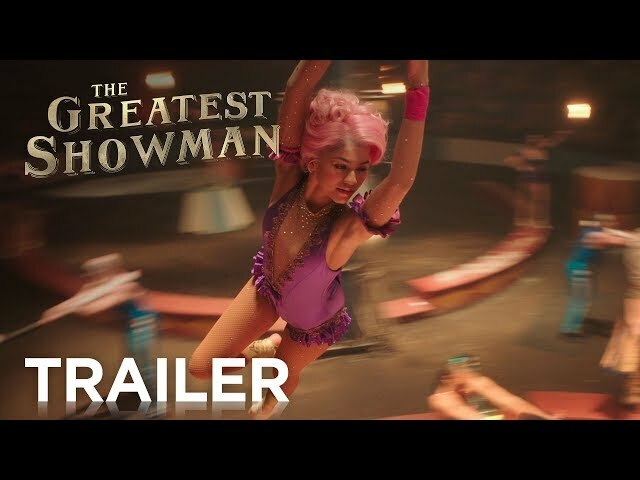 In a flashback to Barnum's childhood where he and his tailor father Philo work for the Hallett family, he becomes infatuated with their daughter Charity after making her laugh. Though Charity is being sent to finishing school, Barnum reassures her that they will not be separated. The two keep in touch through letters until they meet again in adulthood ("A Million Dreams"), eventually marrying and raising two daughters, Caroline and Helen, in New York City. They live a humble life; though Charity is happy, Barnum craves more. Barnum loses his job as a clerk at a shipping company after the company goes bankrupt, and returns home for Caroline's birthday ("A Million Dreams (Reprise)"). In a daring risk, he takes out a large loan from a bank, deceiving them into accepting his former employer's lost ships as collateral. He uses this loan to buy Barnum's American Museum in downtown Manhattan, an attraction showcasing various wax models. Initially, sales are slow. On the suggestion of his children to showcase something "alive", Barnum searches for "freaks" to serve as performers for his museum ("Come Alive"). This attracts a large audience despite protests and poor reviews from James Gordon Bennett, prompting Barnum to rename his venture "Barnum's Circus." Searching for ways to further his reputation amongst the upper class, Barnum meets playwright Phillip Carlyle and convinces him to join his venture ("The Other Side"). Carlyle is mesmerized by the African American trapeze artist Anne Wheeler, but he hides his feelings. During a trip, Carlyle arranges for Barnum and his troupe to meet Queen Victoria. Afterwards, Barnum meets famed Swedish singer Jenny Lind, whom he convinces to perform in America with him serving as her manager. Lind's first American performance is a rousing success ("Never Enough"). As Barnum gains favor with the aristocratic patrons, he begins to distance himself from his original troupe as he advises them to work on tonight's show. Dejected, they decide to stand against their local harassers ("This Is Me"). Jenny Lind, a famous Swedish singer known as the "Swedish Nightingale"
Vasily "O'Clancy" Palvos, an "Irish Giant"
Chang and Eng Bunker, the "Siamese Twins"
Principal photography began on November 22, 2016. The film The Greatest Showman was scheduled to be released by 20th Century Fox on December 8, 2017 (RMS Queen Mary 2), on December 20, 2017 (United States) and on January 4, 2018 (Germany). The duration of the film is 105 minutes. With a budget of $84 million, the film grossed over $435 million. The Greatest Showman got average rating from critics. But the audience likes the film. Audiences polled by CinemaScore gave the film an average grade of "A" on a scale ranging from A+ to F.